Davao is in a lot of buzz with this 3d Cinema. SM City Davao has finally released their 3D Cinema (Cinema 6). With 250 PhP, you'll get to watch the movie in 3D. Of course not just any other movie but those movie that is labelled, well, 3d. To begin my story, I planned to watch "How to Train Your Dragon." More of the experience after the jump. SO, I fall in line and took a ticket. You'll get a free drinks coupon (12 freaking oz) for every ticket. You get to choose where you sit. 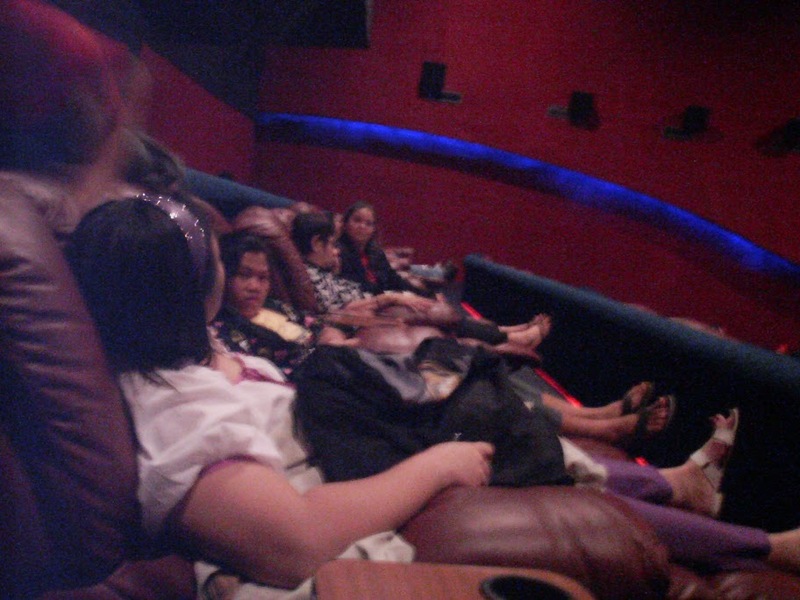 I sat on a special section on which the chair vibrates in line with the movie (It's not a massage chair, mind you). Unlike most of the cinemas here in Davao, you don't get to get inside whenever you want, you have to wait for the current playing movie to finish to get in. You see, I wear glasses. If I remove those glasses and wear the 3d glasses alone, the movie will be a bit blurry. I kid you not when I tell you that a blurry movie + 3d does not mix! So I tried wearing my glasses AND 3D Glasses. I don't know if it was the combination of the two but it gave me a bit of a headache. I enjoyed the movie but my experience is not so enjoyable. I vowed never to watch a 3D movie again. I'd rather watch at the Red Carpet Cinema at Gaisano Mall where it is comfortable. P.S. : As Roger Ebert once said, "Avatar" of course is the elephant in the room when the unrelenting media blitz tries to hammer down on us that 3D is the "moviegoing experience of the future" (heaven forbid!). Have you ever watched Avatar in 2D? The colors are truly *shining* in 2D when comparing it to 3D, it's a joy to behold with all these neon-colored rainforest plants and animals! In 3D, Avatar is a gloomy-looking dark flick in comparison, dulled colors, lots of strobing and ghosting effects. And yes, I have watched "Avatar" in all released formats multiple times.